Want to make the kids really happy on your next vacation? Book one of our Kids Suites! These suites have plenty of space for the whole family. Sleeping up to 6 and featuring full size bunk beds this is a one of a kind accommodation that will make great family memories. With a parent’s bedroom and a kids room you will have the option to have door separation to accommodate some early sleepers. There is also a TV in each room to keep everyone entertained before bed time. Our hotel offers great kid-friendly amenities including a Kids Check in, scavenger hunt in the lobby, photo booth with props, and a weekly Kids Craft in the morning. 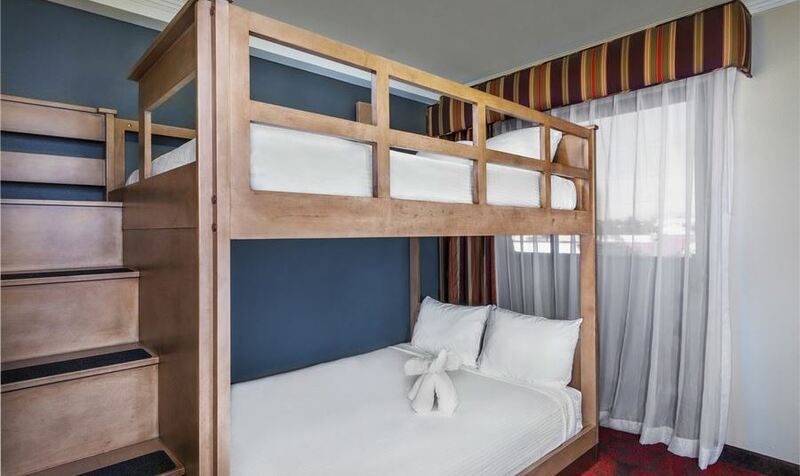 Make this an unforgettable vacation and book one of our Kids Suites today!